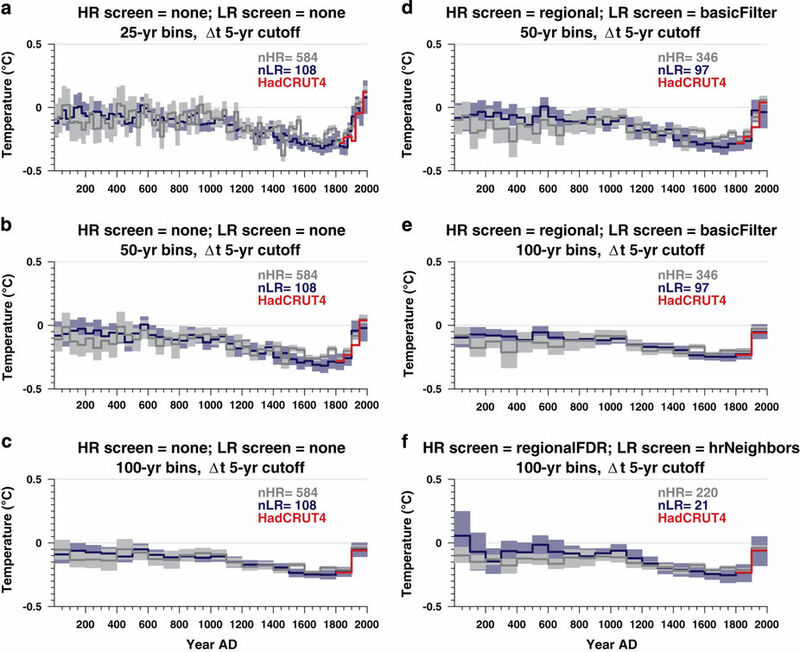 A new database developed by an international group of scientists provides the most comprehensive record yet of how the global climate has changed since 1 AD. IMAS researcher Dr Steven Phipps, who co-authored the study published in the international journal Scientific Data as a member of the PAGES2k Consortium, said the database shows a long-term cooling trend until the 19th century followed by a sharp warming trend. “This is the most comprehensive database of climate records spanning the past 2,000 years that has ever been generated,” Dr Phipps said. Dr Phipps said current knowledge of global temperatures before routine weather measurements relies on so-called “proxy” data – biological and geological sources that provide indirect information on past temperatures. Version two of the PAGES2k temperature proxy database includes data from a number of distinct sources including tree rings, corals, glacier ice, and marine and lake sediments. Tree rings, for example, tend to grow thicker in warmer years, allowing indirect estimates of temperature change during the life of the tree. “This database is fully open and is available for anyone to download and use. “Over the coming years, it will be a vital tool for climate reconstructions and climate modelling, and will form the basis of plenty of amazing new science,” Dr Phipps said. Overall, the database gathers 692 records from 648 locations, with data sources covering all continents and oceans. Australia contributes five records, all of which come from Tasmania: tree rings from huon pine and celery-top pine trees in eastern and western Tasmania, as well as a sediment core from Duckhole Lake in southern Tasmania. Data were selected and vetted in a collaborative manner by members of the consortium, according to a consistent and transparent set of criteria. The trends evident in the latest dataset concur with the regional temperature patterns reconstructed from a previous, more limited, version of the PAGES2k database.